Legendary Chinese admiral Zheng He might well approve. A Wenzhou-based tycoon is launching mainland China’s first cruise ship, and has his sights set on building up a world-class fleet. Billed as "the world’s only six-star, twin-hull cruise ship," the 12-deck China Star will embark on her maiden voyage from Hong Kong’s Victoria Harbour on March 8 at 2.30 p.m. The 131-meter-long, 295-ton vessel will carry 200 passengers and 200 crew on a two-day, one-night voyage around the South China Sea. According to China’s state-run newspaper, Global Times (in simplified Chinese only), China Star is the only mainland-owned cruise ship. The China Star has a checkered history. 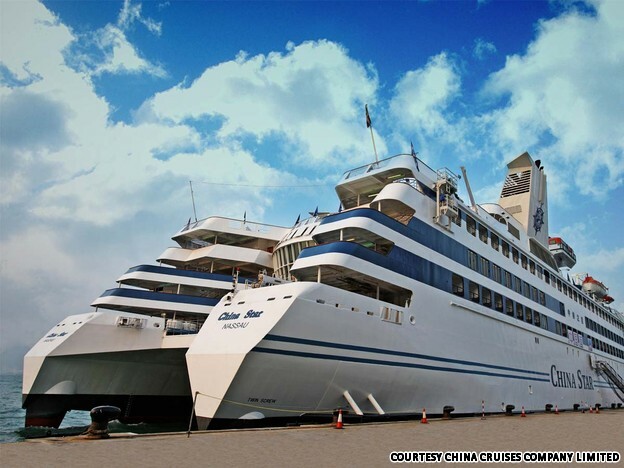 China Cruises Company Limited (CCCL) bought the 20-year-old Finland-built ship from Macau casino tycoon Stanley Ho last June for US$45 million and shelled out another US$20 million refurbishing her. The company changed the 172-cabin cruise liner’s name from Asia Star to China Star in order to express its CEO’s patriotism. Chinese features have been included on board to keep passengers from the mainland happy. "We also added balconies to the cabins, and expanded the biggest one to 24 square meters," said Huang. Besides Western dishes and drinks, the restaurant serves green tea and traditional Wenzhou fish cakes. Entertainment facilities include a theater, a karaoke room, a game center, an indoor wine and cigar bar, an open-air bar, a library, two Chinese spas including a foot massage parlor and duty-free shops. "Later on, we plan to bring in ‘more culture-oriented events,’ such as holding beauty pageants and inviting film crew to shoot onboard,” Huang added. 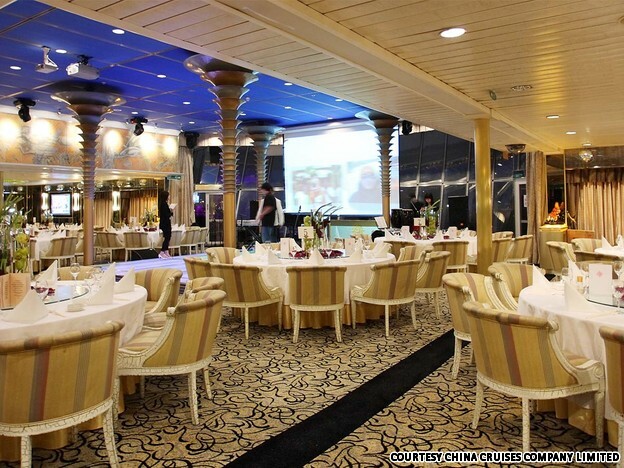 China Star is part of the effort for CCCL to realize its ambition of building a “cruise ship fleet” in China. The company has announced its plan to purchase two to three 1,500-passenger cruise vessels in the next two years. Most recent statistics revealed that 790,000 Chinese travelers cruised overseas in 2010, a rise of more than 20 percent on 2009. And mainland China received 223 international cruise vessels in 2010, which is 42.9 percent more than the previous year. Although the Middle Kingdom has moored many foreign cruise ships since Costa Cruise took the global lead and entered the market in 2006, no mainland company had stepped into the luxury cruising business before. According to Cheng Weihang, general secretary of China Cruise and Yacht Industry Association, the gap in the market was caused by the high investment threshold and Chinese people’s lack of experiences in running cruises. China Star’s first official voyage is due to take place in early May from its homeport, Zhoushan in Zhejiang Province, to Kaohsiung and Keelung in Taiwan. CCCL will launch a series of routes to neighboring countries later on, including Japan, Korea and Vietnam. Most of China Star’s voyages are set to last four to five days. The cruise will operate a series of trail voyages between now and May though no dates have been announced. Fares range from RMB 1,188-6,888 (US$ 188-US$1,092). 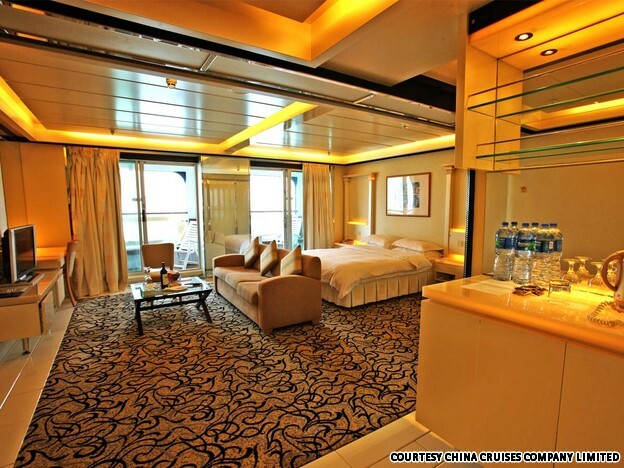 Contact China Star Cruise Tour (+86 400 809 5699, www.cruises-china.com) for more information.